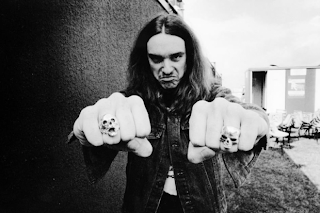 Cliff Burton joined Metallica on bass in time for their landmark 1983 debut album Ride the Lightning, and he died in a tragic European tour bus accident three years later. To commemorate the anniversary of Burton's death on September 27, 1986, the surviving band members have posted a free download of a nearly hour-long concert the group played in France in November 1984. 5. "The Call of Ktulu"